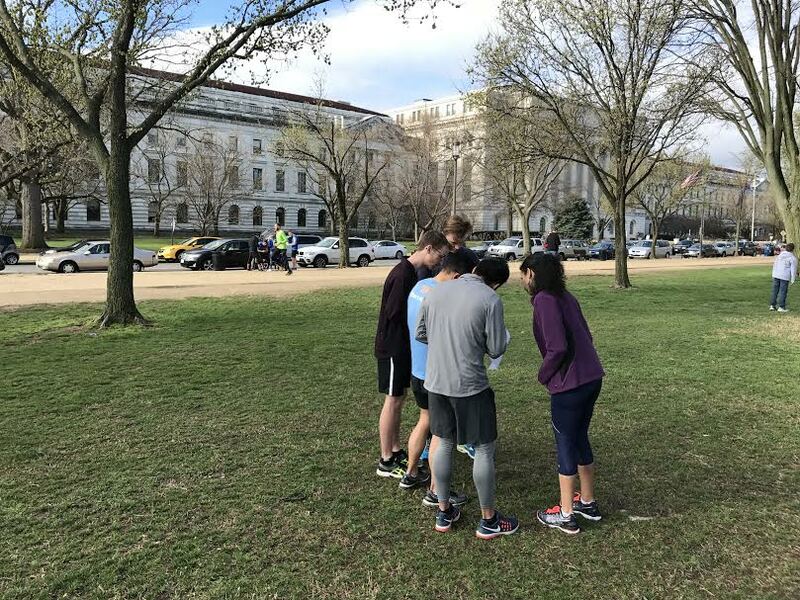 The Amazing Race 2019 is scheduled for Saturday, March 30, 2019 starting at the Dupont Circle Fountain. 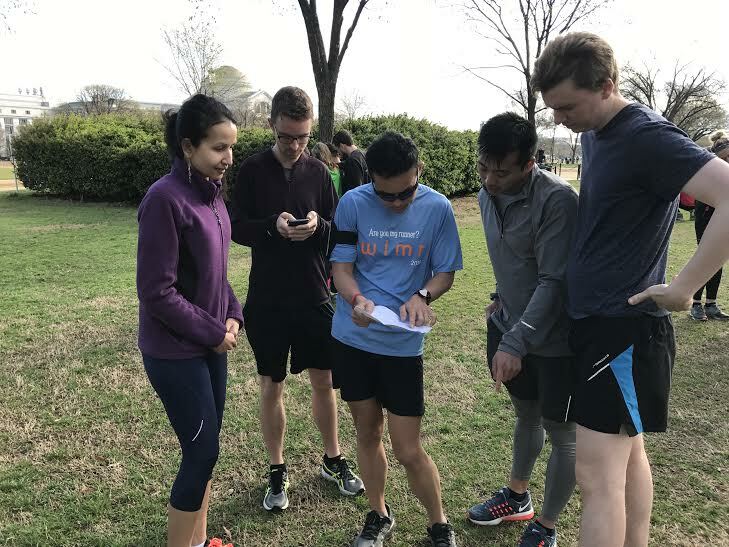 Sign up as an individual, or be a captain and get 4 of your friends to join you. We will be making a donation to House of Ruth after this event. 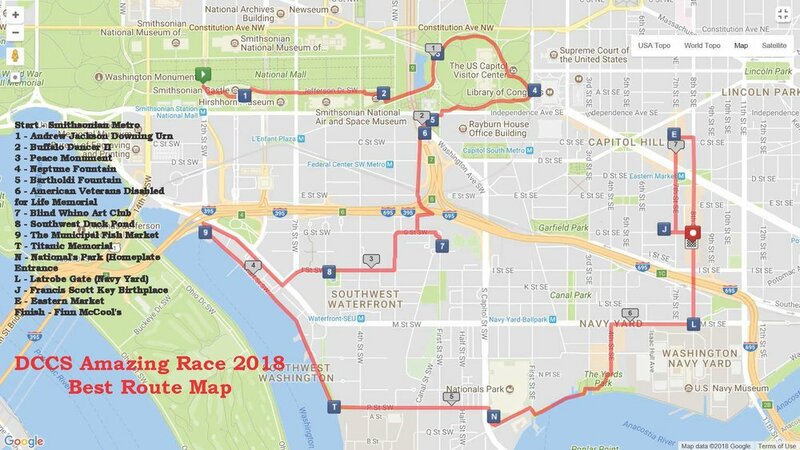 We will have raffle prizes and each entrant will receive a pair of DCCS gloves, a DCCS buff, a pair of Wrightsocks or Injinji socks, or a DCCS hat. 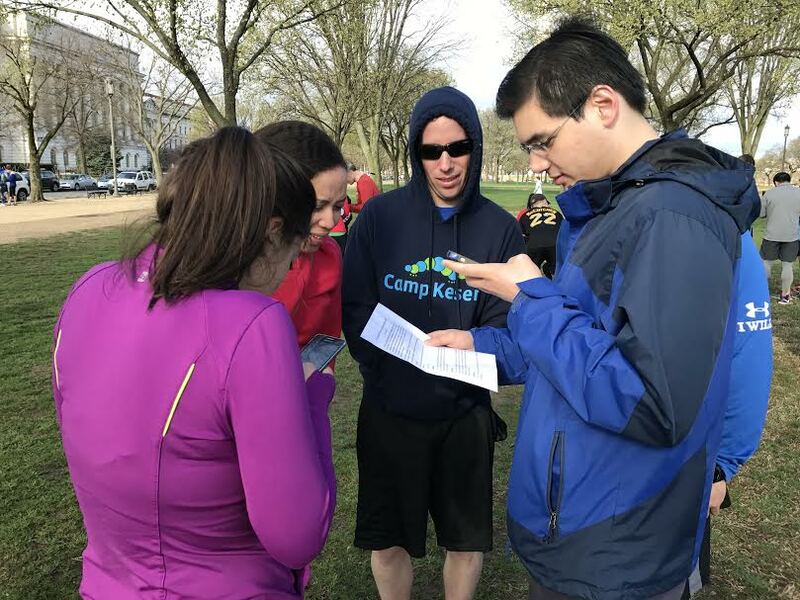 On an absolutely gorgeous Sunday morning, April 22, 2018, approximately 30 DCCS members attended the 2018 version of the Amazing Race! 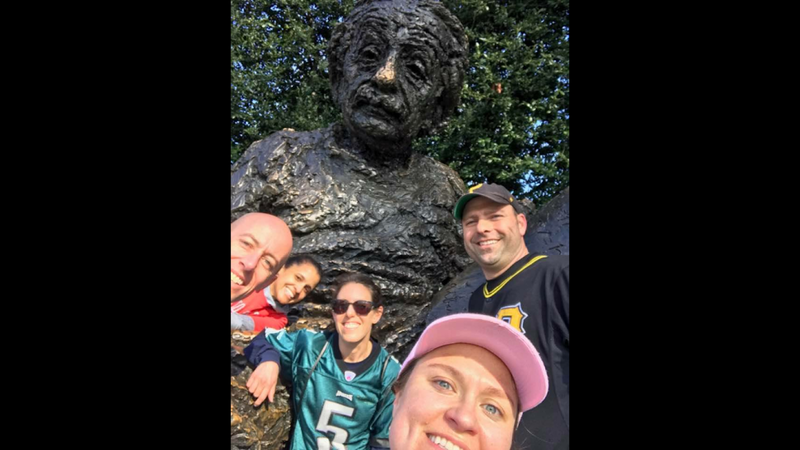 Congratulations to the team of: Quattro Hubbard, Carol Cohen, Josh Howe, Steve Barge, and Daisy Weill for correctly solving all the clues, taking a "groupie" in front of each location, and making it to the last location - Finn McCool's the quickest! 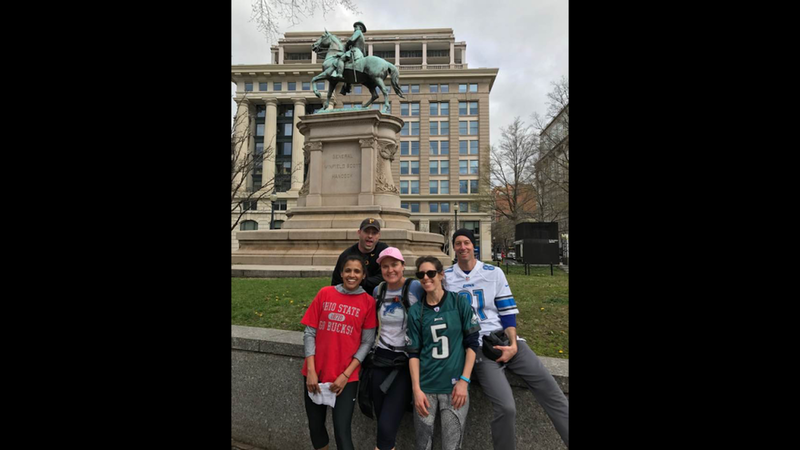 Special thank you to Thomas Mcnulty (Great Falls co-host) and Lauren Gabler Masterson (Alexandria co-host) for all their help organizing this wonderful event! Also, thank you to Finn McCool's for having us at the after event celebration! 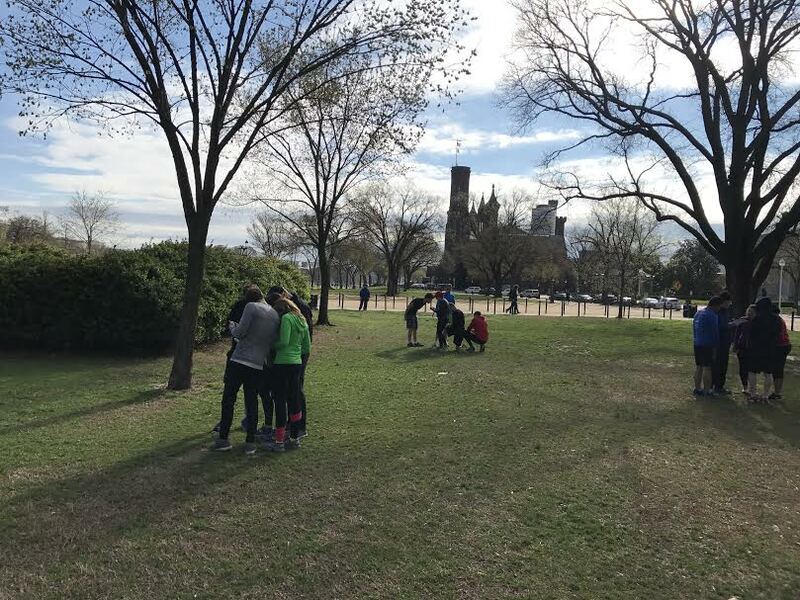 On Saturday, April 1st, 2017, 50 DC Capital Striders runners embarked on a journey through Washington DC for an amazing race style event. 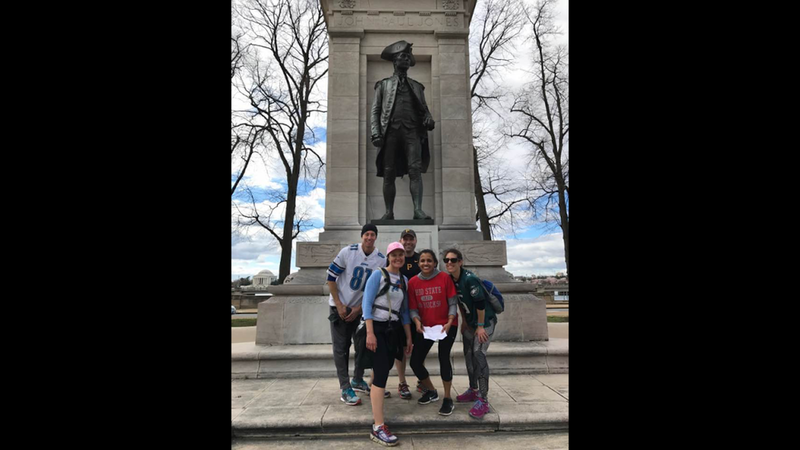 10 team captains with four other runners on their teams tried to solve clues (locations around town) where they took a groupie (group photo) together in front of the monument, statue, or building. The last clue was a bar/restaurant (The Alibi) in the immediate area for post event celebrations. 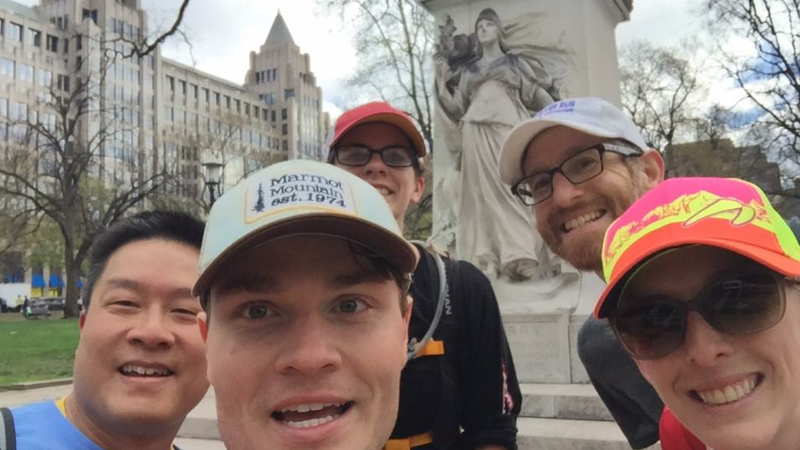 The team that got to the bar/restaurant and took a group photo in front of each location was declared the winner! 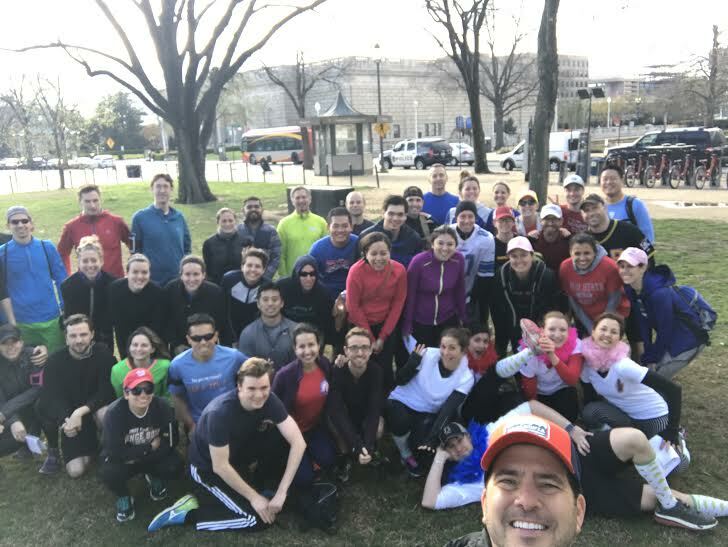 DC Capital Striders thanks all the participants who raised hundreds of dollars for Back on my Feet! 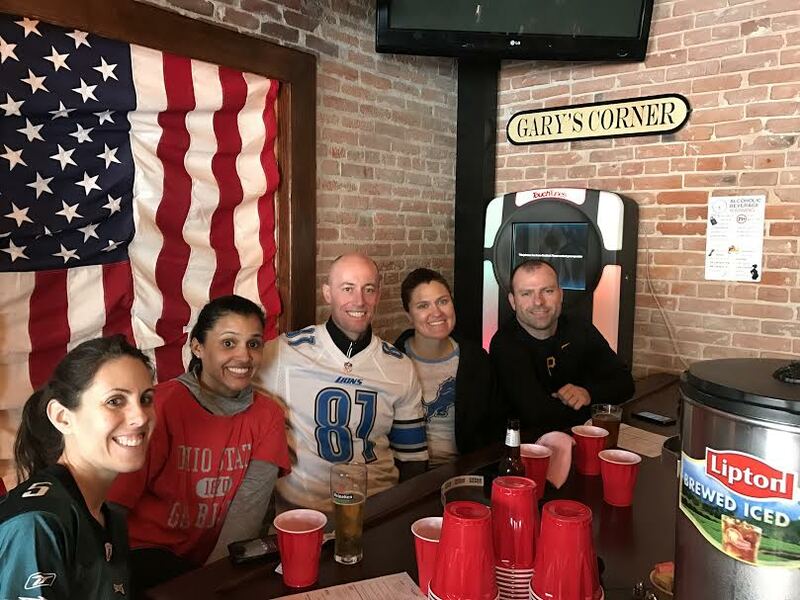 We also thank Ragnar who agreed to pay for the first adult beverage for each participant at The Alibi!